On Thursday, finally, the FBI fired Peter Strzok. It took them long enough. We know it was last summer — about a year ago — that the Department of Justice Inspector General Michael Horowitz told chief witch hunter Robert Mueller about the wildly partisan texts Strzok exchanged with his lover, fellow FBI official Lisa Page. We also know that Mueller removed him from the Trump Russia cover-up the next day, so at least a year ago. In his report on the Clinton email investigation released June 14, 2018, Horowitz claimed to have found no direct evidence that political bias led directly to any official decision, but even so, he acknowledged that Stzrok showed a “willingness to take official action” based upon his biases. And yet at that point, taxpayers who voted for Trump were still paying the salary of the individual who launched the FBI’s investigation of the now-President of the United States and led the exoneration effort of Trump’s opposing candidate with vitriolic bias like that not only rattling around his head, but spewing out to his co-workers/co-conspirators. Now, at last, we are relieved of that financial burden. Why? Was it simply for sending the texts listed above? According to the Washington Post, Strzok was fired over his anti-Trump texts. 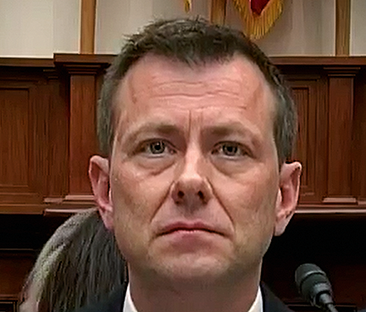 But the fact that Strzok was originally given a 60-day suspension and a demotion, and then fired at the Deputy Director level, indicates that the FBI has determined at the highest level that he did something even worse than he was originally punished for, or at least that that punishment did not fit the crime. Or, maybe the FBI is finally admitting what Congressional Democrats for some reason won’t: That Strzok did something wrong that constitutes a termination offense. At least.